The highly anticipated H1Z1 zombie survival game from Sony has finally entered its Early Access stages and so far it seems that it’s a lot more than a Day Z clone and personally, I like it a lot more. However, just like every new game out there, it has a lot of challenges for new players and proves to be a tough nut to crack for some. We come to your help with a set of H1Z1 tips and tricks and a complete guide to survive the zombie apocalypse in this game. 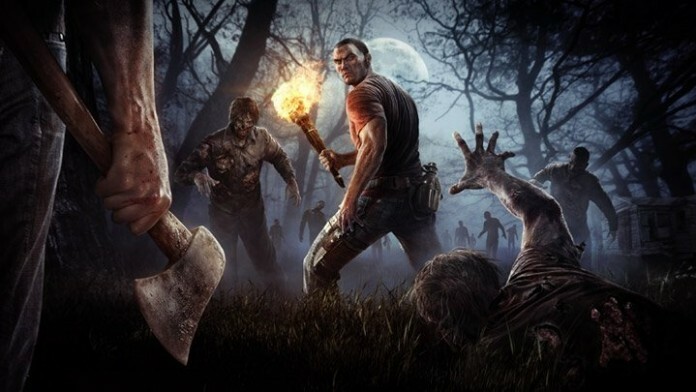 Sounds can be heard by both zombies and other players in the game, so make sure that you don’t start a car or start chopping a tree unless you really have to. You might want to build a fire to stay warm, but that will surely announce your location to the entire world. So if you want to have the upper hand, be stealthy and take others by surprise – those who are not! There’s no such thing as bad loot in H1Z1, so make sure that whenever you’ve got the chance, you search all areas and get everything you can find. As if zombies and other players were not enough to be afraid of, we also have wildlife in the game. Wolves and bears, for example, are really bad encounters and they’re best left alone, while deer can be extremely nourishing for you if you manage to take one down. Or you can use them as decoy for the zombies, since they will follow everything that moves. Remember the second tip on this list? Well, crafting is what makes every item in the game useful: try out the discovery system in H1Z1 and craft as much as possible. You’ll start slow with bandages and other small items, but pretty soon you’ll be able to craft a huge variety of things. And this is the key for a long life in the zombie infested world! Sure, the noise that your running car will make will draw onto you all the zombies around and probably all the survivors too, but you are safe from zombie bites while inside a vehicle and you can cause all the mayhem in the world smashing the living dead with your power car. For fun, at least, this is a great option! I think that we have already learned this lesson from playing other similar games: it’s a kill or be killed world out there, so it’s best to trust no strangers. Better be safe than sorry, even though there are indeed good people out there too! Once you have enough experience and materials in H1Z1, you will be able to build your own house, grow your own crops and set up water collecting and filtration devices. Even better, your house’s walls will be strong enough to keep the zombies away! However, you also have to defend it as well as you can. Bring in allies to help you with defensive duties, set up all the traps that you can or even lure in hordes of zombies that will act like an undead shield for your home. That’s all you’ve got! So these would be all the tips and tricks for H1Z1 that the devs have shared with us so far, but it’s a great starting point that helps us better understand the game and increases our chances of staying alive. Previous articleCheck Out the First GTA 5 4K Resolution Screenshots from the PC Version!